Isn't it lovely to have sunshine until later in the evening? I've been busy making lots and lots of felt goodies over the past couple of weeks, and don't seem to have shared many here, so after spending the day adding them & the new buttons to my website I thought I'd produce a very picture heavy post...you can never have too many pictures, right?? ...and a close up of Mr. Monkey because I think he's handsome! I'm not really sitting here browsing through my blog lists, really I am packing and nearly ready to go! I've booked a few days off work and am going to stay with my parents for a mini holiday...whilst I'm there my Nan will be turning 80 so we will be celebrating and generally having a relaxing few days. I'm driving down to Devon tomorrow and will be back on Thursday...I shall be taking parcels with me and they will still be posted, just from a different county! Yay! 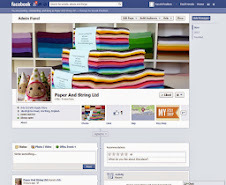 It's my 500 blog posts craft day celebration! Complete with an easy sew-in zip that the most terrified zip-sewer can conquer! To print the pattern simply right click the picture, save to your computer and print. It fits onto one piece of A4 paper. Cut out :: 2 purse pieces & 1 of each cupcake piece. You'll also need to pick some co-ordinating ribbon, a button and a 4" zip. On one of the purse pieces stitch the ribbon into position. 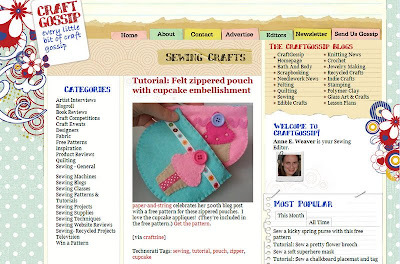 Stitch the ribbon to your cupcake piece. Make sure the ends of the ribbon are tucked underneath and then they can't fray. 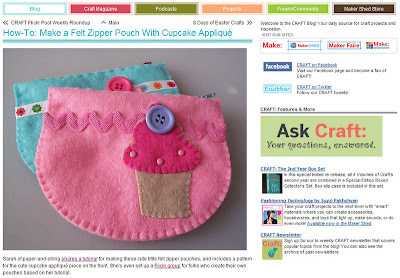 Pin you cupcake into position and stitch at right angles to the edge. 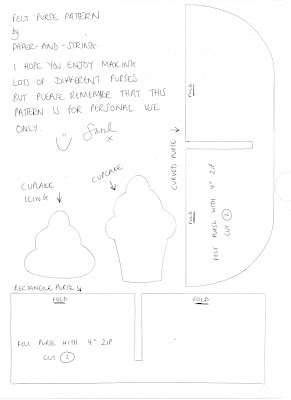 Pin your cupcake icing into position and again, stitch at right angles to the edge. Once your purse is decorated it's time to conquer the zipper! pin the zip to the decorated layer of your purse. Carefully lay the two pieces on top of each other insuring the edges are lined up. Pin the two layers together. Once your purse is all pinned together you need to adjust the pins that are holding your zip in position so they are also pinned through both layers. It's worth taking your time over this, making sure everything is nicely lined up and securly pinned. the back should look like this. before starting to sew the zip gently slide the slider back and forth to make sure it slides smoothly. Start to stitch the zip in using a neat straight stitch. before passing the needle all the way through turn the purse over to make sure that your underside stitches are the same distance away from the zip. Being patient and taking your time at this step will make or break your purse! Once you have finished stitching the front looks like this. and the back like this. Now you have mastered zips! Hurrah! The next step is to fold your purse over and pin all 4 layers together. Felt is very forgiving and you will be able to manipulate the edges so they are lined up very neatly. push your needle through from the back as close to your thread as possible. pull the thread through but leave a little loop. pass your needle through the loop (from front to back) and pull it firmly. You've just done your first blanket stitch. ...leave a loop, needle through the loop from front to back, pull firmly, next stitch. Have fun sewing & let me know if the instructions don't make sense!! I've nearly blogged for 500 posts! IF I plan it right the 500th would be next Wednesday (day off the day job day) so I thought....what better way to celebrate than to host a blog-based craft party? I'll provide the pattern, instructions and there might even be some cake! I figure that this way everybody can join in....everyone gets a freebie...they just make it themselves!! It will involve felt and zips...and the zips WILL be conquered by all!